H.P. Lovecraft’s Dagon is an in-development Point & Click adventure game by Order of Dagon Publishing, led by Thomas Busse, inspired by the many works of the Cthulhu Mythos, and taking place in one of the most famous locations in the Mythos, Innsmouth, home to the Esoteric Order of Dagon and featuring a very famous character from Lovecraft’s Work, Dr. Herbert West, Reanimator. Recently, Thomas took some time off his very busy schedule to answer some questions for The Mental Attic. For more information on H.P. Lovecraft’s Dagon visit the Order Of Dagon website and be sure to follow them on Facebook and Twitter. 1. Could you tell us a bit about yourself and Order of Dagon? (I, Kevin, mistook the name of the game, so tremendous way to start off, right? Development of the game initially started in 2009 as a university project, it was my Bachelor thesis and I worked on it together with two others. Back then, we created a prototype of the first chapter of the story, and the plan was to continue working on it after we finished university. Life came in between these plans however; I moved from Germany to the UK, the others also got fulltime jobs in different parts of Germany. On top of that, I started working for a game publisher, and there it was not allowed to work on private game projects because that was seen as a conflict of interests, and so the game was put on ice for quite a while. I always wanted to continue working on it, but it wasn’t until early 2013 that I found the time and motivation again. I wasn’t too pleased with the old prototype anymore, so I started again from scratch. Story wise, I have mixed a number of Lovecraft stories (mainly Dagon, Shadow over Innsmouth and Herbert West – Reanimator) and created my own storyline out of this. The story is set in 1927 in the New England coastal town Innsmouth. The town is secretly controlled by Doctor Herbert West and the Esoteric Order of Dagon; West’s plan is to evoke the old god Dagon and, with his help, take over the world. 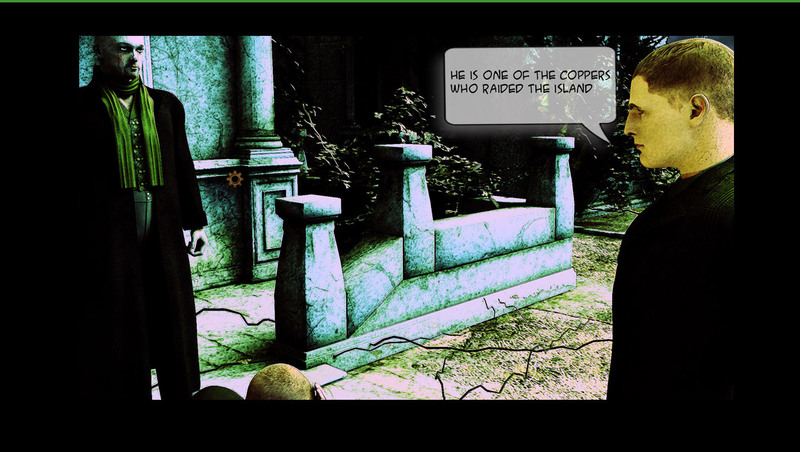 The player controls two different main characters that end up in Innsmouth for different reasons and the task it to stop West and the Order of Dagon. 2. Previous Cthulhu videogames have been mostly Action Adventure, what made you choose the Point & Click Adventure genre? I hope to be able to recreate the horror in a different, more subtle way, without reverting to simple “kill everything you see” mechanics. There might be a bit of blood though, after all we are dealing with Herbert West! Hopefully it won’t be long before we can click on that! 3. Will the game feature 3D environments or models? 4. Aside from Lovecraft and other Mythos writers, what games, books, films, etc. inspired H.P. Lovecraft’s Dagon, both in storytelling and gameplay? Gameplay wise Broken Sword comes to mind, the way it handles 2 playable characters will be similar in H.P. 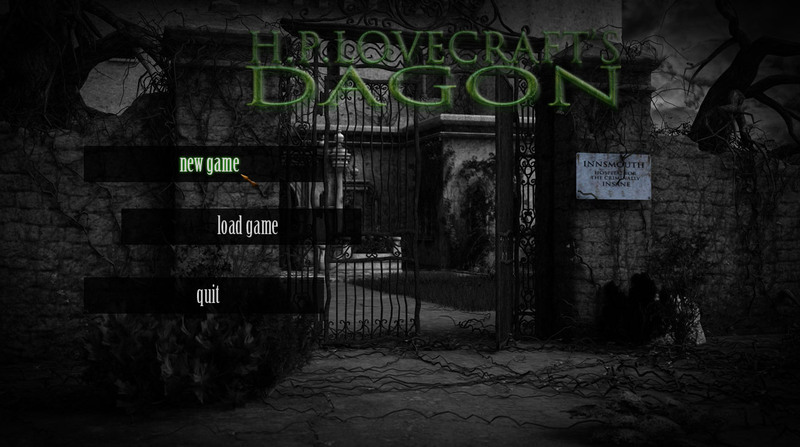 Lovecraft’s Dagon (it’s mostly linear based on the story, you can’t switch between characters manually most of the time), and I use the same simple yet effective user interface. 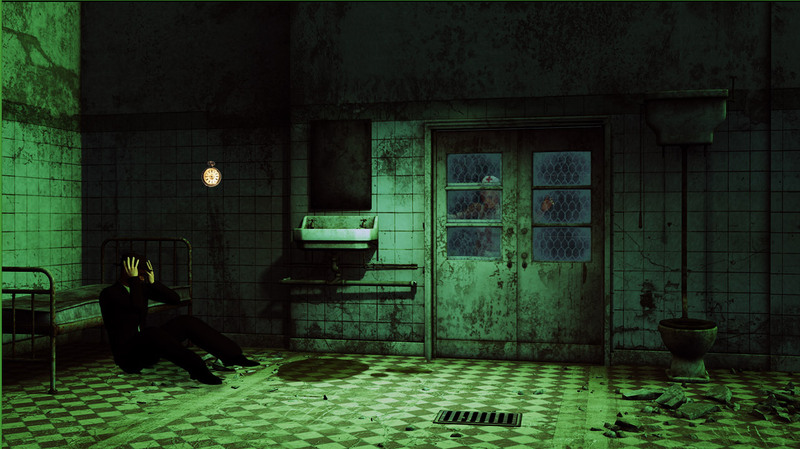 Apart from that, I guess everything around me influences me a bit, for the part of the game that plays in the Innsmouth Hospital for the Criminally Insane for example, I found the second season of American Horror Story quite inspiring, and I like the atmosphere in outdoor scenes of Silent Hill, so Innsmouth might go a bit in that direction. 5. The story is set in the town of Innsmouth, which has been the setting for previous Cthulhu mythos games, such as Dark Corners of the Earth. What do you think is the appeal of the town and its residents for Mythos Storytellers such as yourself? The town has quite a history and a colourful array of characters that can be used, and the fact that it’s located by the sea opens up a lot of possible story twists. I like the idea that it was once a rich, prosperous town but has now transformed into a bleak, sad place but the old heydays are still visible below the surface. Its connection to the Deep Ones, the Order of Dagon, the residents in their various degrees of transformation; all that is a great source of stories to draw from. 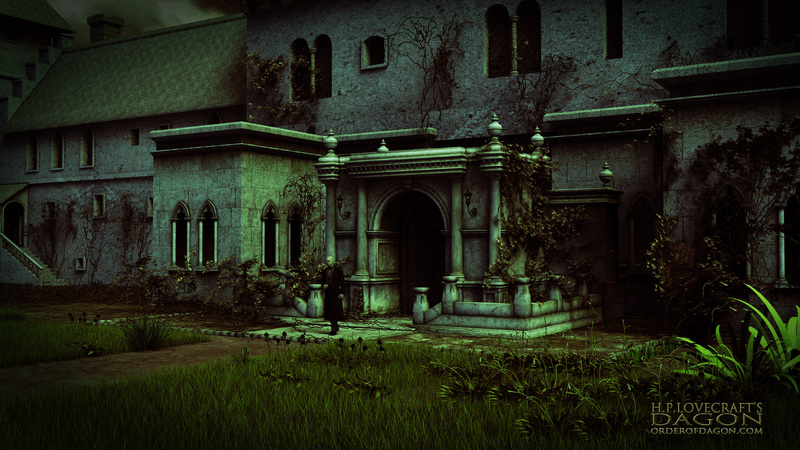 The Innsmouth Hospital for the Criminally Insane…makes Gotham’s Arkham look warm and fuzzy. 6. 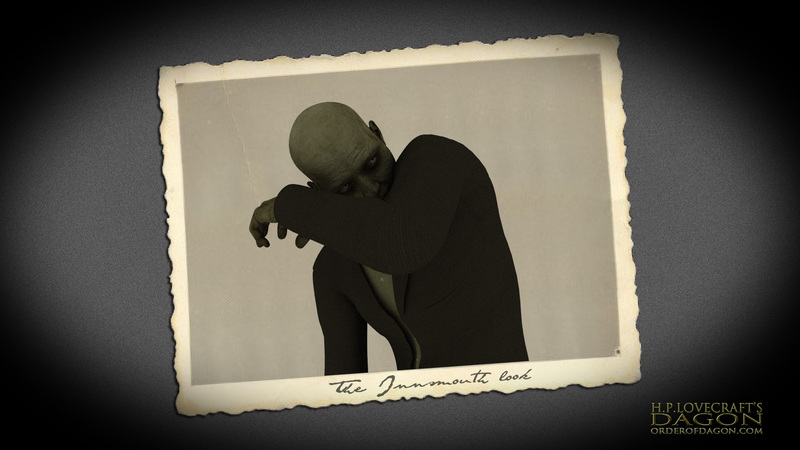 The Town of Innsmouth isn’t the friendliest of places; will there be moments of danger, possibly death, for the player? If so, have you thought of how you’ll implement them? However, I intend to use it in a non-frustrating way people aren’t fond of having to replay hours of gameplay because they died in the game and forgot to save, so the game will take care of that. 7. Sanity, and madness, is one of the recurring themes of the Mythos and its adaptations, will H.P. Lovecraft’s Dagon manage the character’s Sanity? Yes, I don’t want to spoil too much of the story, but one of the two main characters will be directly affected by what’s lurking in the darkness, and this will make him doubt reality. Poor guy…I bet he’s hoping she doesn’t have the key! 8. You have already revealed Dr. Herbert West as the main villain, are there any other characters, godly or otherwise, we might expect to see in the game? Yes, Dr. West as well as the Esoteric Order of Dagon are part of the game, as well as a few residents of Innsmouth, for example Zadok Allen. All in all there will be around 15 characters featured in the game. 9. Will we see some of the good Doctor’s reanimating? 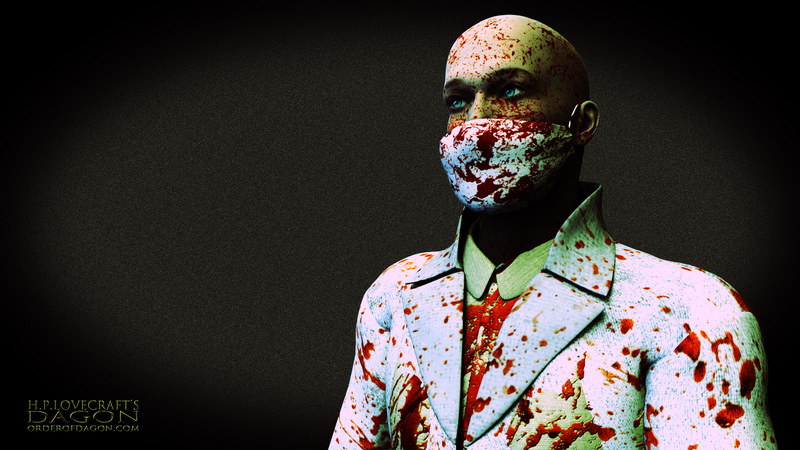 Dr. Herbert West – Reanimator! 10. How far along are you on H.P. Lovecraft’s Dagon, development wise? The script (story, scenes, puzzles) is more or less finished. I say more or less, because I always make changes here and there, often because things that looked very good on paper don’t turn out to be that much fun when implemented in the game, so I always make adjustments here. Music and sound are missing completely as of yet, unfortunately that is an area in which I have no talent and need to rely on someone else’s help. Overall, I would say that I’m about 10-15% done. No one likes a rat! 11. You mention, on your site, you will soon start your Kickstarter campaign; How soon can we expect it to launch? I hope to launch the campaign mid to end of January 2014. 12. You have recently participated in the AdventureX event, can you tell us about your experience there? Are there any other events in the near future where we might have a look at Order of Dagon? Yes, this was the first time that I’ve shown an early prototype to the public, which was quite a bit terrifying in the beginning, but it turned out to be a nice experience. Reception so far has been quite good considering that the game is still in a very early stage of development with many aspects like sound and nearly all animations still missing. I haven’t planned any other events yet, but should something similar to AdventureX come up again I’d be in for sure, after all there is no better way to get in touch with people who are interested in the game. 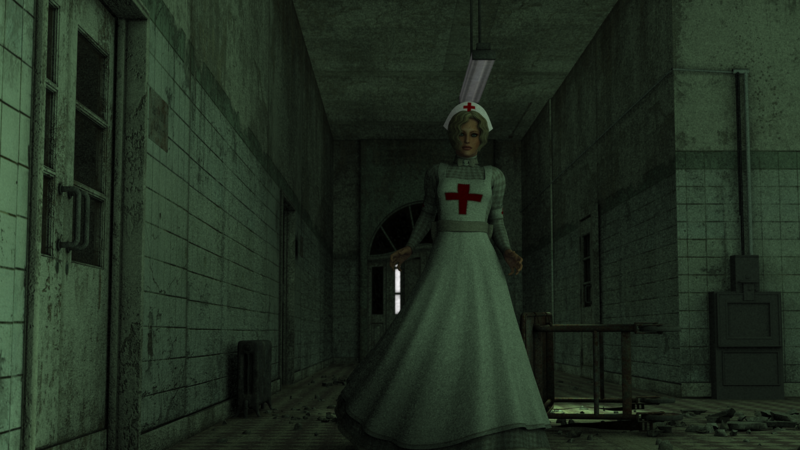 Creepy Nurse or Nice Nurse? We’ll have to wait to find out…though I’m leaning towards Creepy! 13. On the technical side of things, could you walk us through the tools you are using for development? I’m using the Wintermute Engine, an open source engine specialised for the creation of adventures. It’s a very powerful, flexible and robust engine that was used in quite a number of commercial titles already. Recent additions allow the games to not only run under Windows, but also on Macs, iOs, and lately even under Linux and Android. Since last year, ScummVM is also working on a port for WME, which is part of the stable releases now, so in theory Wintermute games now run on all platforms that ScummVM is available for. For graphics, I’m currently using Blender, and also started looking into Vue (for outdoor scenes). The 3D modeller that will later come on board is using 3ss Max. For 2D, I’m using Photoshop; and AfterEffects for the planned video sequences. 14. To help put the word out there; What sort of skill sets are you looking for in collaborators/employees? At the moment, I’m working alone. I already have a potential team in place, depending on whether or not the Kickstarter campaign will be successful I will hire three collaborators (a composer, a 3d modeller and a graphic designer) to help out on a freelance base, and later on a writer who will help me translate the dialogues into proper English based on my own translation (I’m developing the game in German). The Innsmouth Look…wouldn’t want to meet this guys in a dark alley! I want to thank Thomas for taking time to answer these questions for The Mental Attic, giving you the chance to find out more about the fantastic game he’s making. Again, be sure to visit their site and follow them on Twitter and Facebook, and keep your eyes open for his Kickstarter. When it happens, I’ll be sure to let you all know so you can back H.P. Lovecraft’s Dagon just as I will.